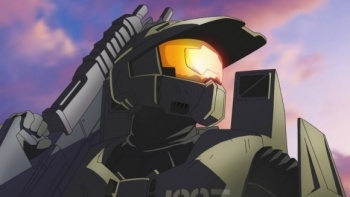 Halo developer Bungie has signed a ten year publishing deal with Activision. Infinity Ward may be falling apart, it would appear that Activision had an ace up its sleeve the whole time, as it has announced that it has signed a ten year deal with Halo developer Bungie. Activision will now be the publisher for Bungie's next franchise, and will have exclusive rights to publish it across all platforms. "We chose to partner with Activision on our next IP because of their global reach, multi-platform experience and marketing expertise," said Bungie president Harold Ryan in a press release. "From working together over the past nine months on this agreement, it is clear that Activision supports our commitment to giving our fans the best possible gaming experiences." "Bungie is one of the premier studios in our industry and we are extremely pleased to have the opportunity to work with their talented team over the next decade," said Activision Blizzard COO Thomas Tippl. "Bungie has developed some of the most compelling and successful games, multiplayer experiences and thriving fan communities, and this alliance underscores our long-standing commitment to foster the industry's best creative talent. "Our unprecedented partnership with Bungie will enable us to broaden our pipeline of exciting new games as we continue to strengthen our industry position and pursue long-term growth opportunities." He added. This news is surprising, to say the least, and I think it's fair to say that no one saw this coming. It's important to note that Activision has not bought Bungie, and Bungie will keep control of the IP, but this is still a very big deal. It also makes Bungie's previous statements about possibly revisiting the Halo franchise in ten years time make a lot more sense. Now all we have to do is wait and see what this next big project actually is.